Jose Fernandez, the Miami Marlins ace who was tragically killed in a boating accident on Sept. 25, was posthumously honored on Wednesday night at the 25th Annual Players Choice Awards. In a bittersweet moment, Fernandez was announced as the National League Comeback Player of the Year for the 2016 season. 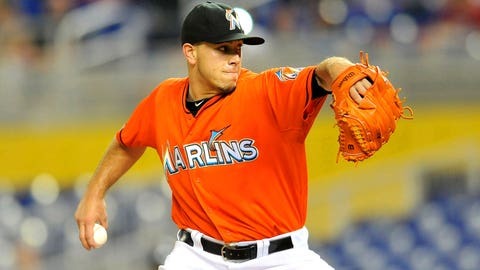 Fernandez, 24, went 16-8 with a 2.86 ERA, 2.30 FIP, 1.12 WHIP and an NL-best 12.5 K/9 ratio in 29 starts this past season. He made only 11 starts in the 2015 season after returning from Tommy John surgery. Voting was done by MLB players on Sept. 20 – five days before Fernandez’s death.